The United States has always been seen as a country tolerant of religious freedom. Just look at some the very first migrants to America: the pilgrims. Since then, different groups of people, with an abundance of different religious affiliations including Jewish, Catholic, Sikh, Muslim, and others, have migrated to the United States for the sole purpose of practicing their faith freely, and of course, other political, economic, and social reasons. In a country that at times is not fond of the diversity immigrants bring, support from social institutions, such as religious organizations, is definitely needed to further immigration reform. 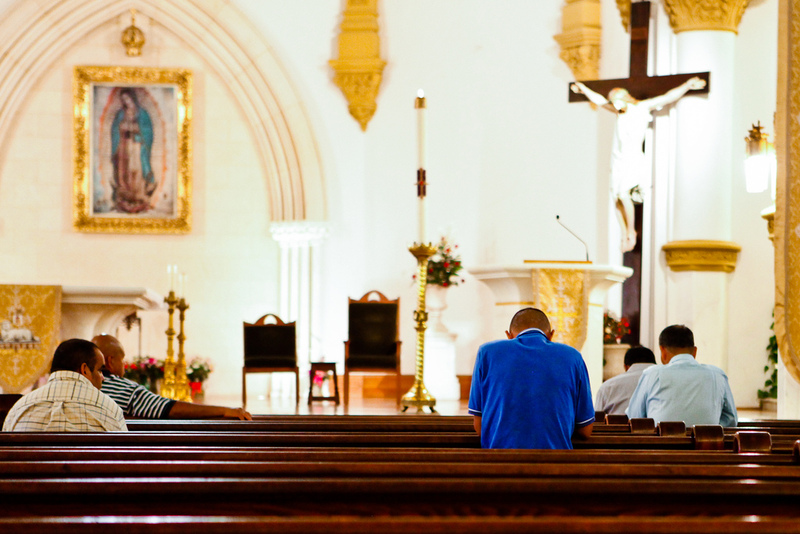 Though immigrants come from many different nations and walks of life, religion is very important to a majority of these immigrants. It is about time that religious groups start defending all their faithful worshipers, including immigrant communities. Arizona’s new immigration-enforcement law requires law enforcement officers to ask for legal documentation from any Arizona resident that they suspect may preside in this country illegally. This controversial law spurred the uproar of religious group support. According to an article in Time Magazine, Los Angeles Cardinal Roger Mahony was quick to express his anger and disapproval of this legislation. He describes Arizona’s new law “as the country’s most retrogressive, mean-spirited and useless anti-immigration law, [and compares] it to German Nazi and Russian communist technique.” Following Mahony’s lead, many religious leaders stated their opinions regarding this harsh law. For instance, Jim Wallis, an Evangelical leader, labeled the law as a racial sin. In addition, many Catholic bishops suggested that the U.S. Conference of Catholic Bishops (USCCB) add their support to lawsuits challenging the law. In addition, the USCCB is offering support for immigrant communities through its Justice for Immigrants campaign. This campaign provides worshipers postcards to send to Congress in order to voice their opinions to government representatives. Without the support of religious communities it is highly unlikely that an immigration reform will happen anytime soon considering that political leaders such as Harry Reid and Barack Obama are starting to lose fervor in their once promised immigration reform. The aid of religious leaders is adding necessary fuel to the national campaign for immigration reform. Through their traditions of hospitality and kindness to any human being, including strangers, religious groups consider caring for immigrants as their duty.